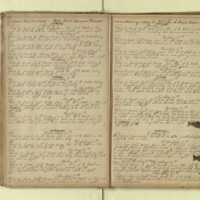 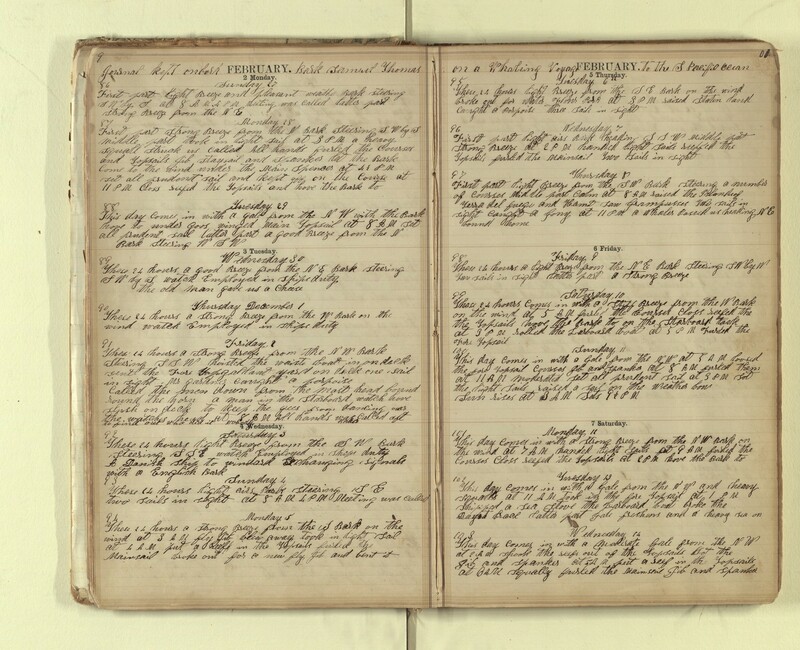 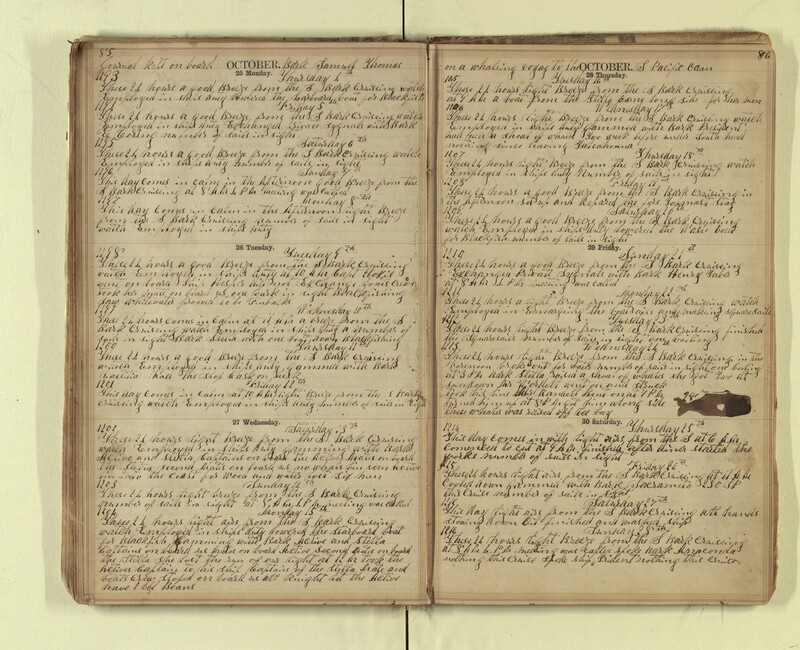 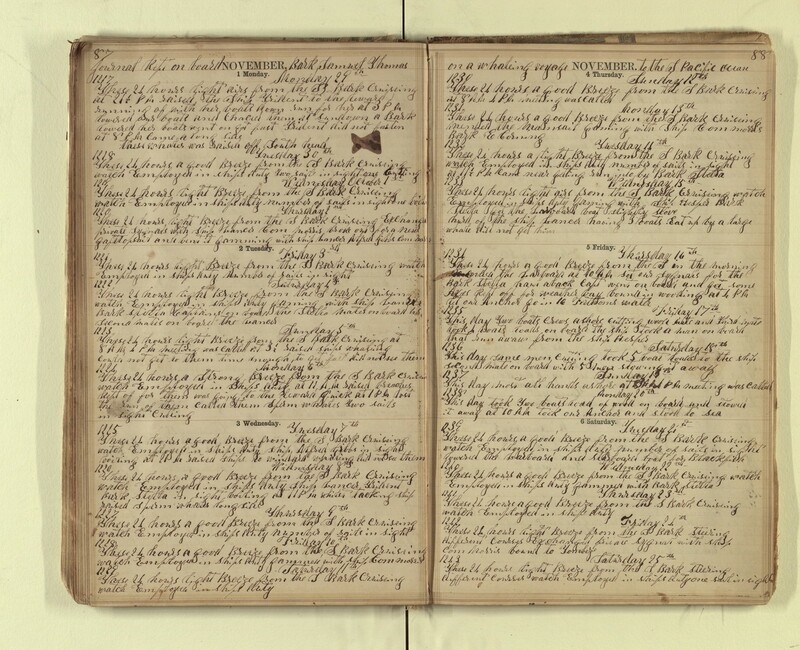 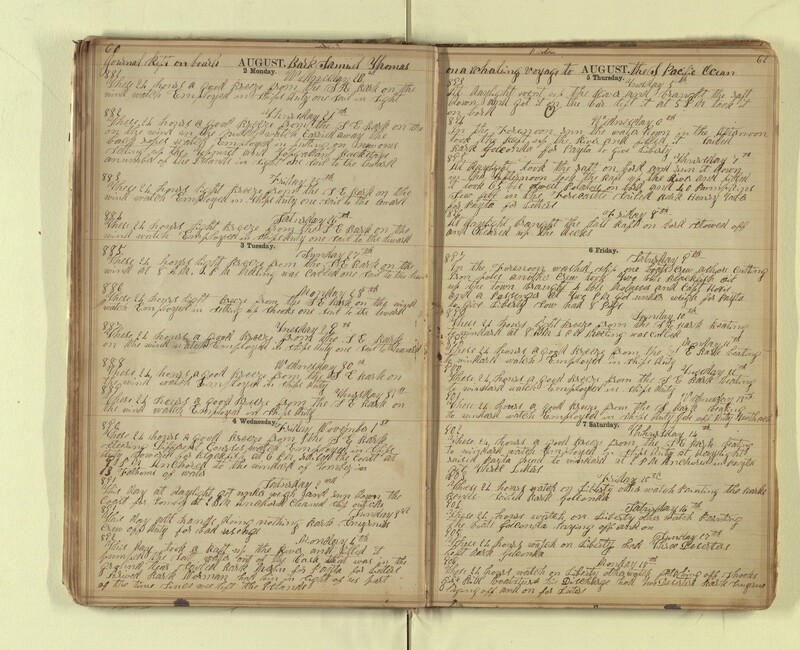 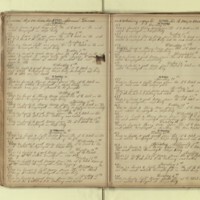 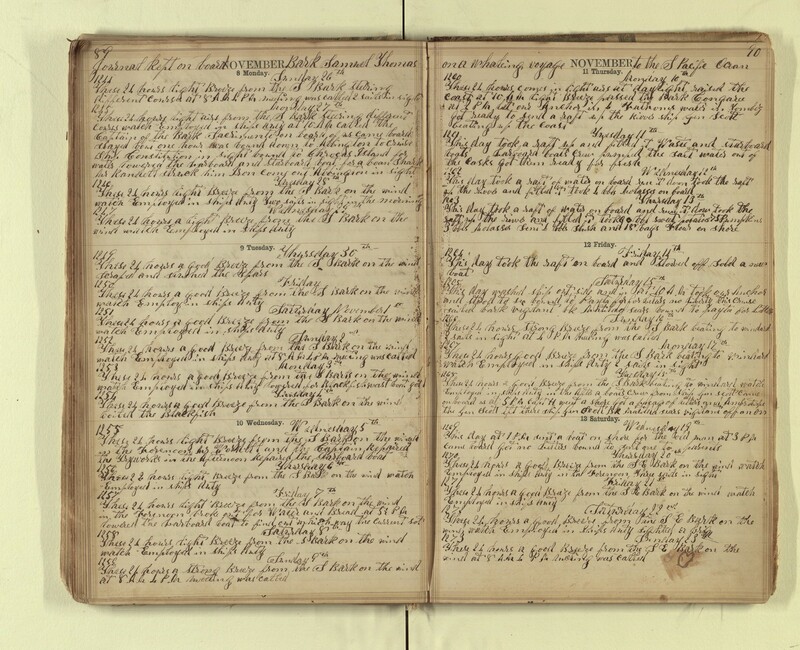 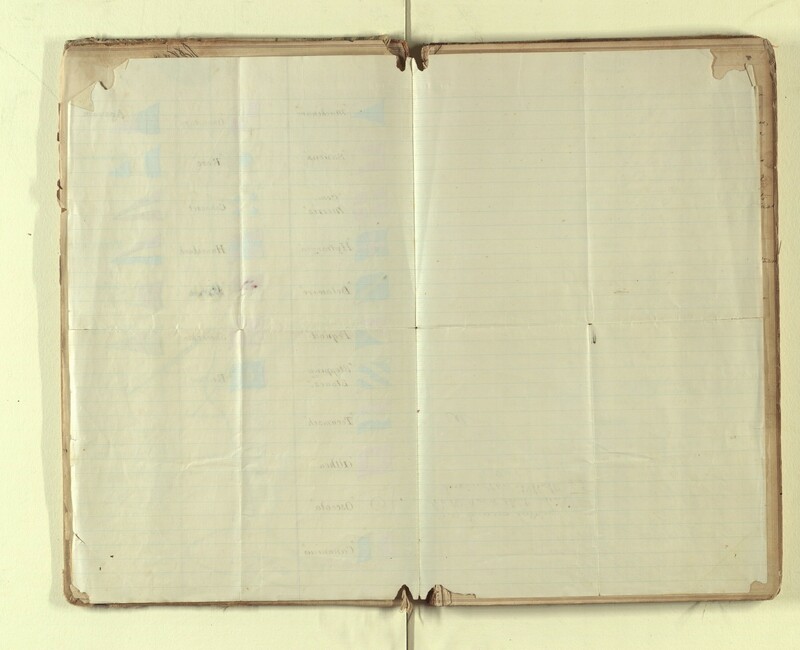 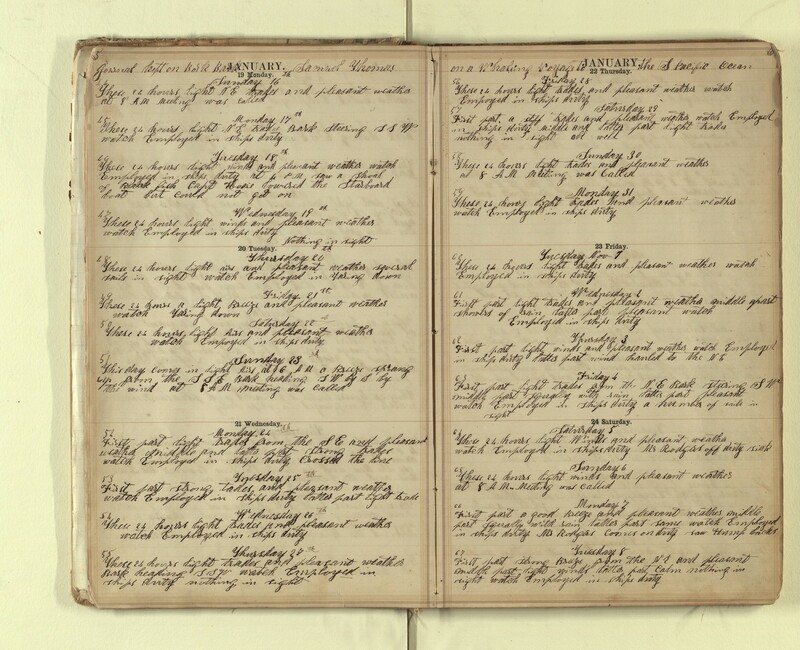 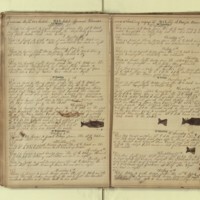 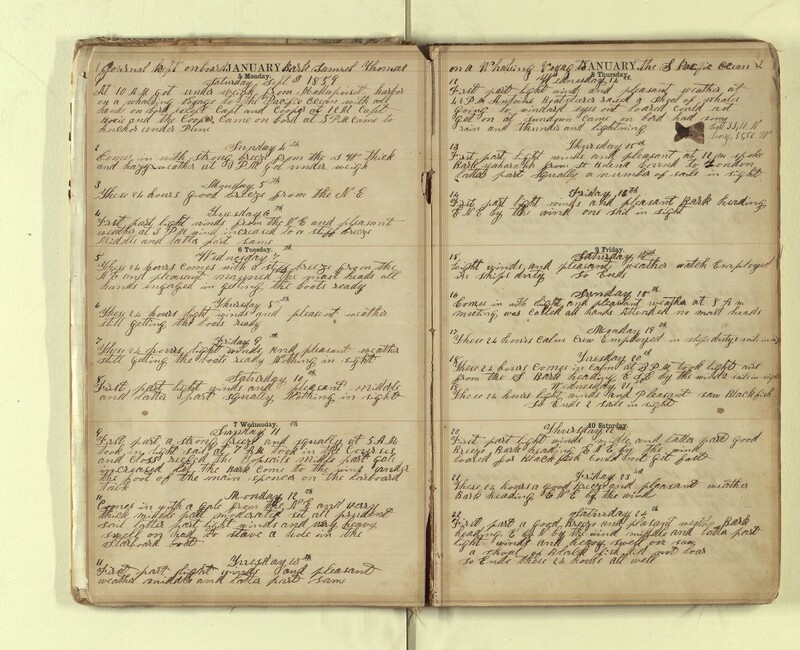 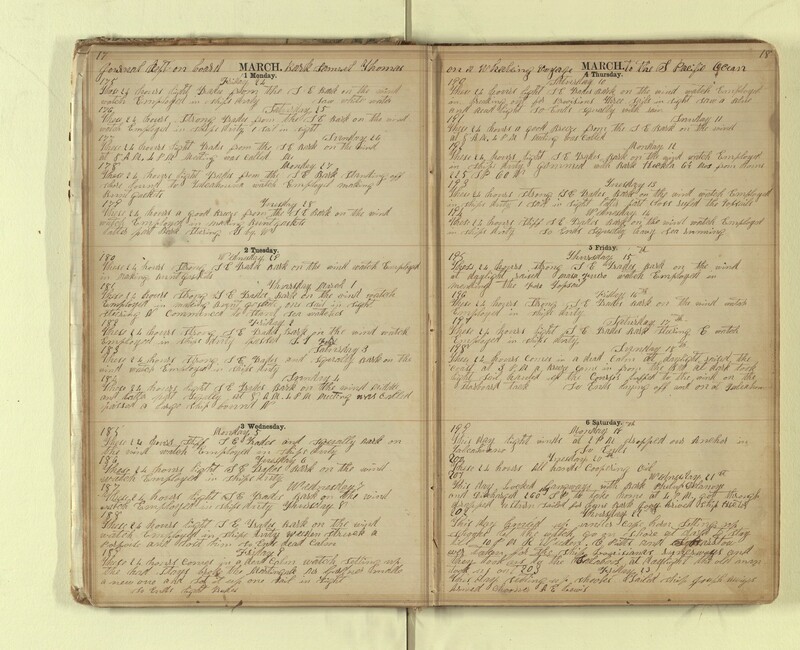 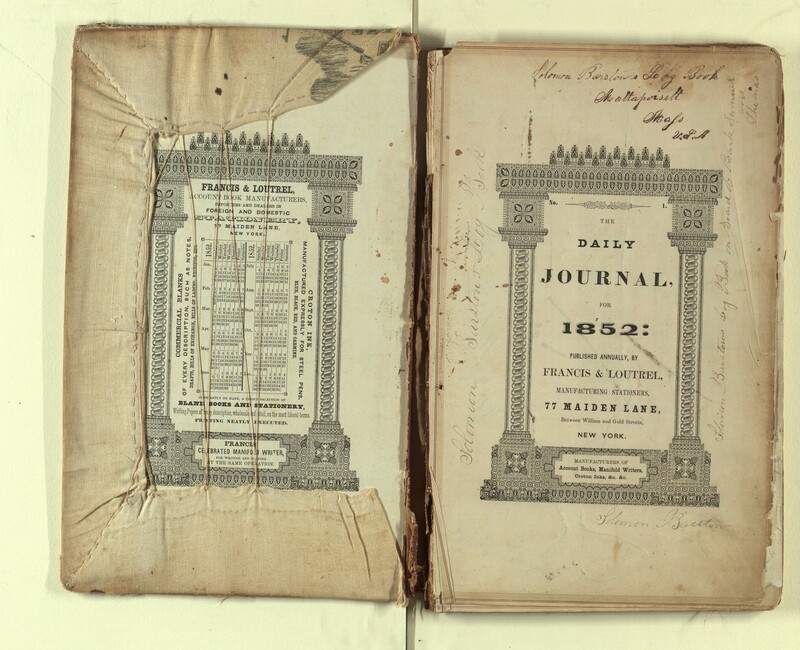 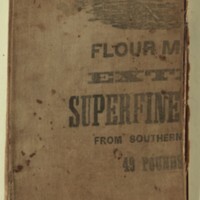 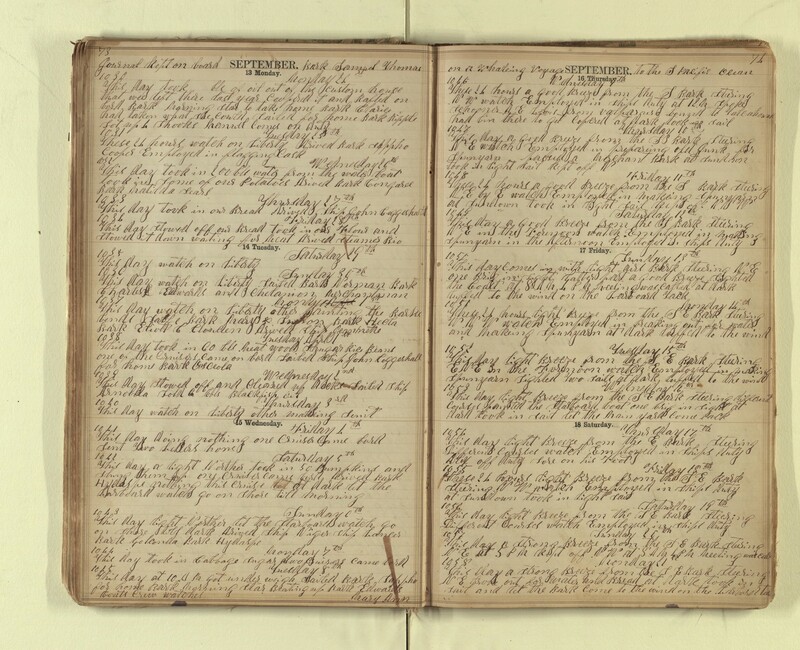 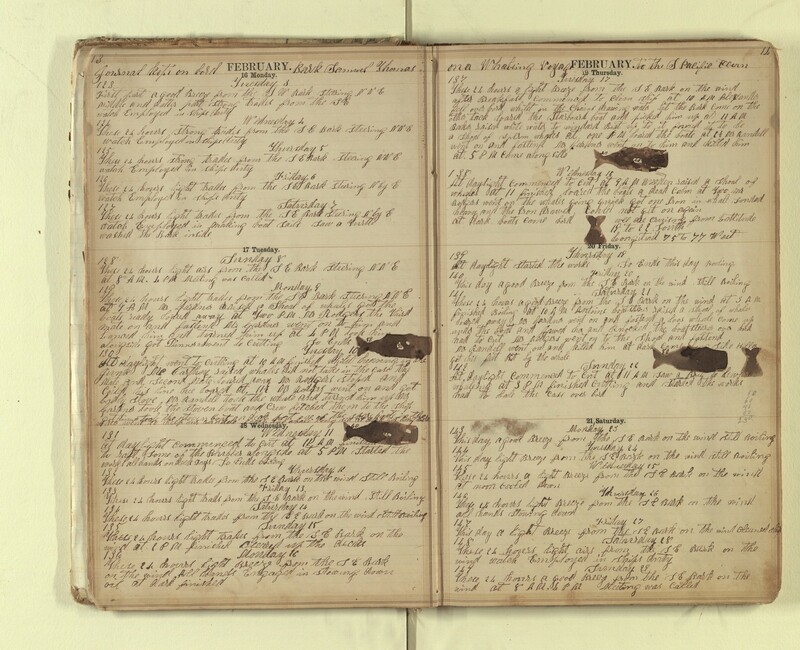 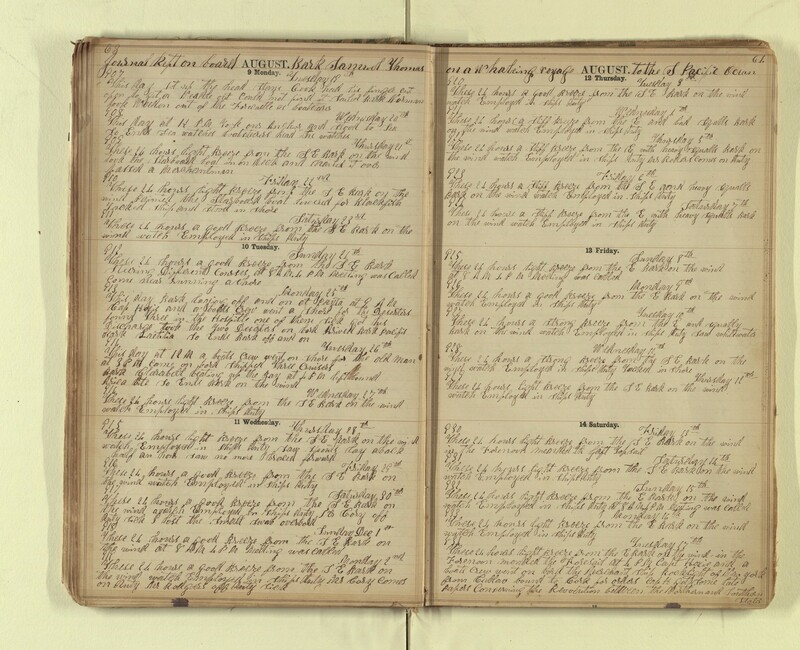 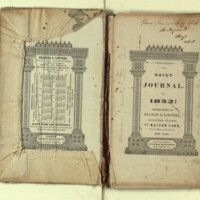 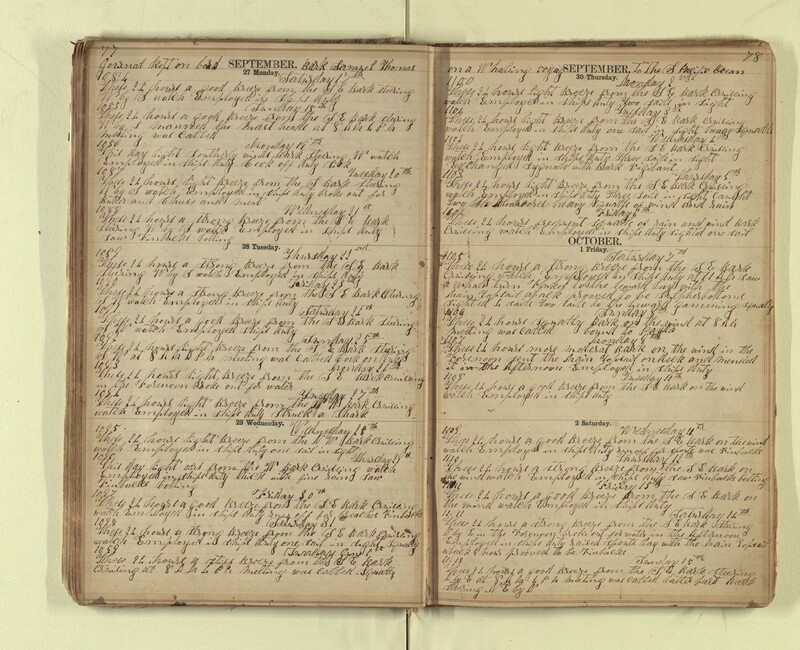 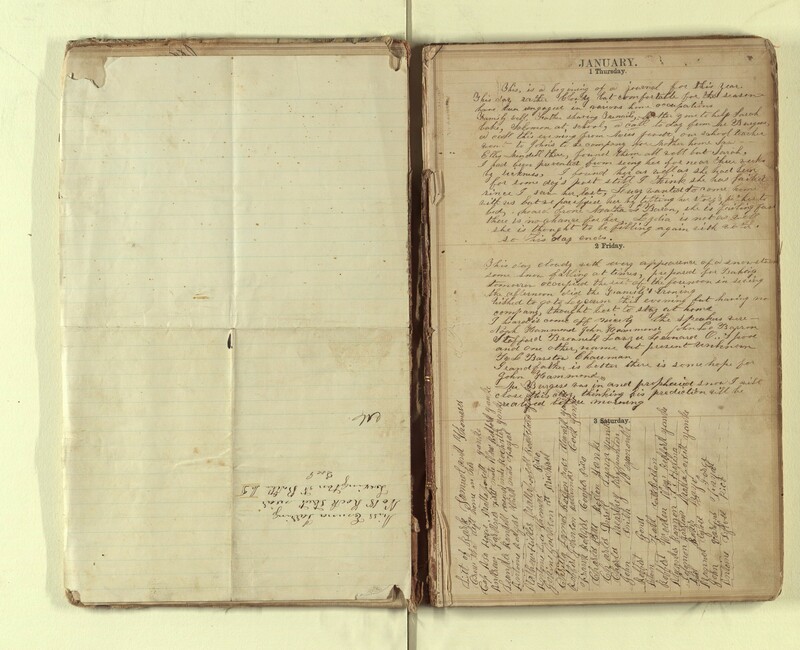 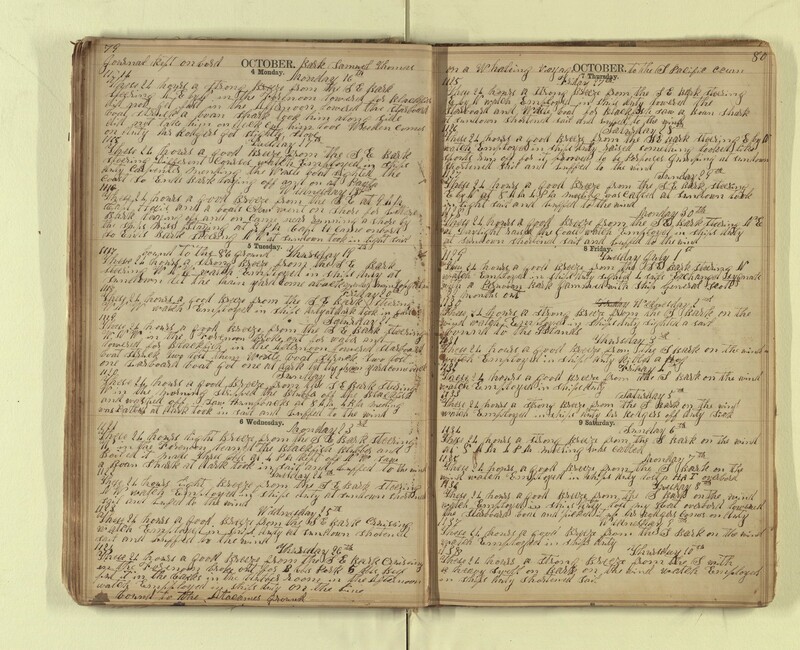 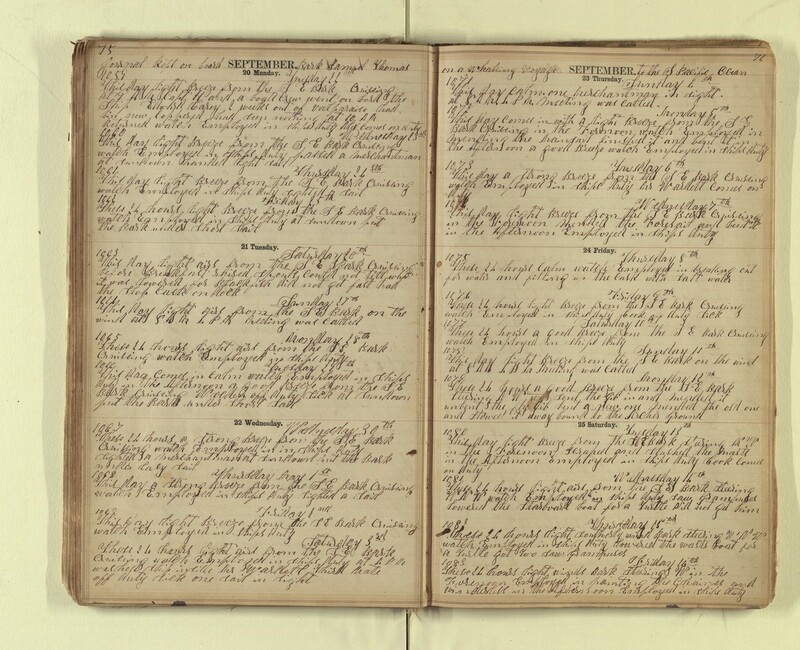 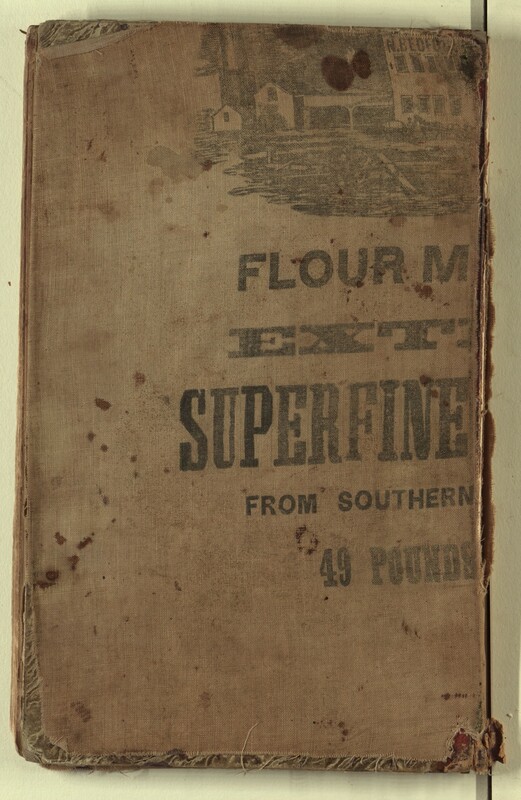 This journal of a voyage to the South Pacific was kept by Solomon Barstow in a standard blank daily journal published by Francis & Loutrel (New York City) in 1852. 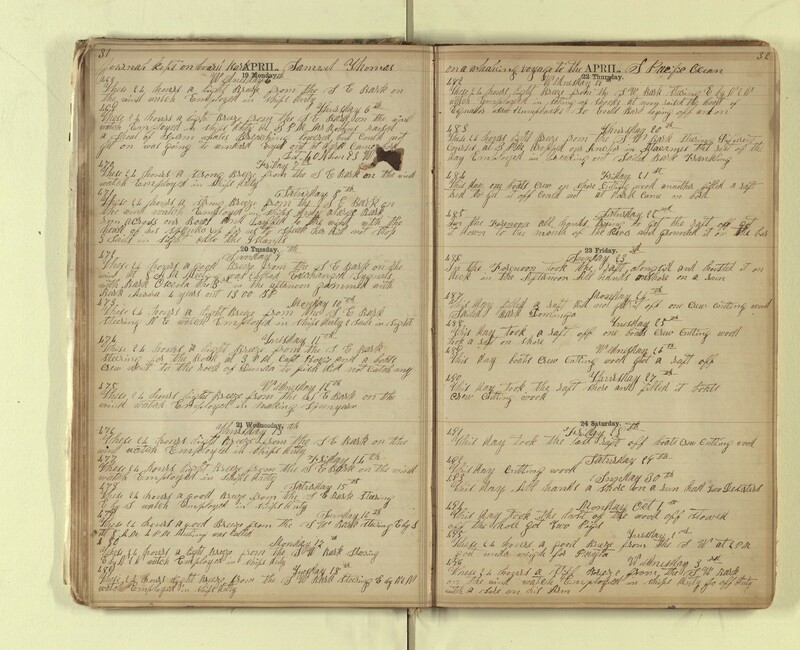 This is a virtually complete account of the voyage (Asa Hoxie was Master), which commenced on September 3, 1859—the last entry was made while homeward bound on May 30, 1863 (about a month before she reached Mattapoisett, her hailing port). 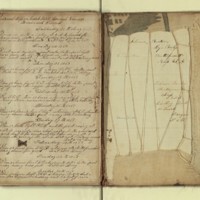 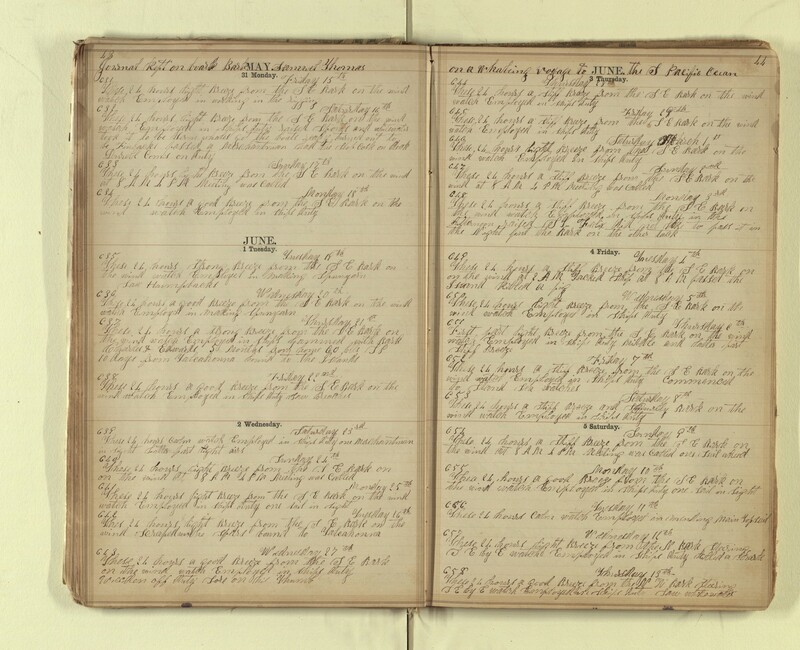 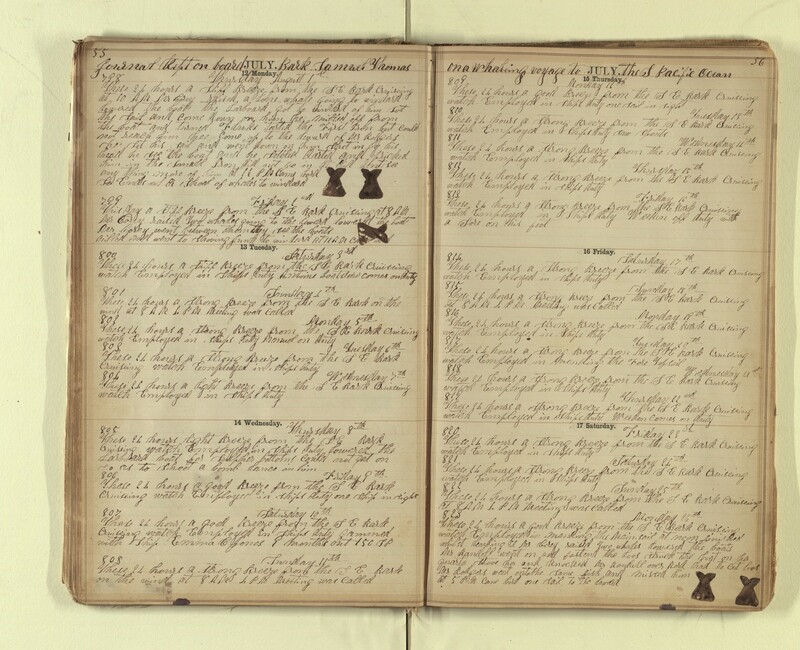 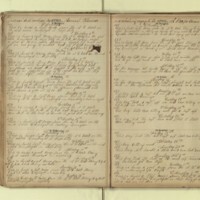 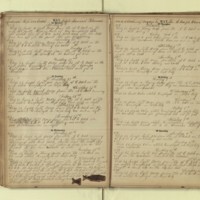 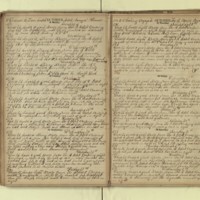 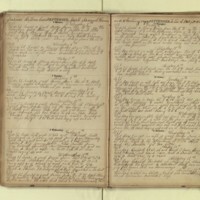 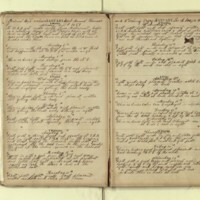 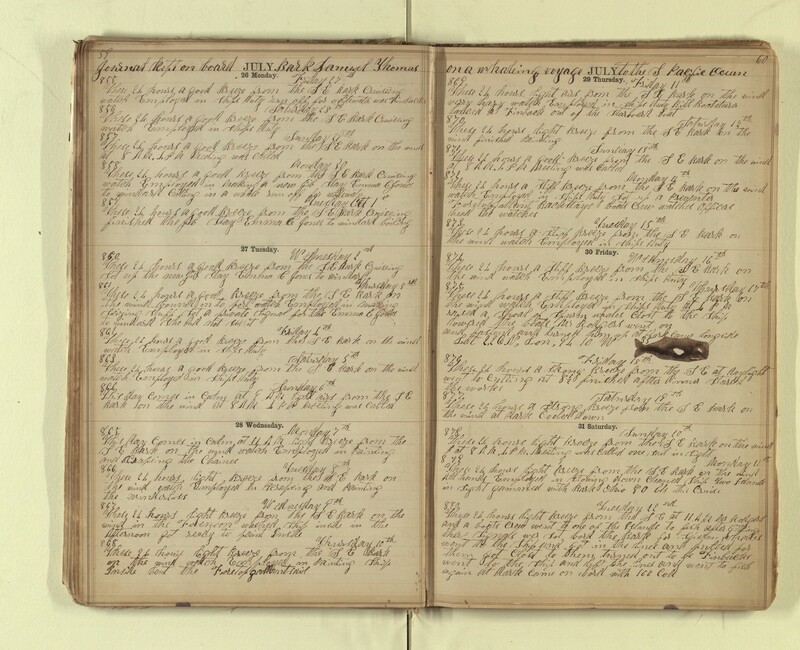 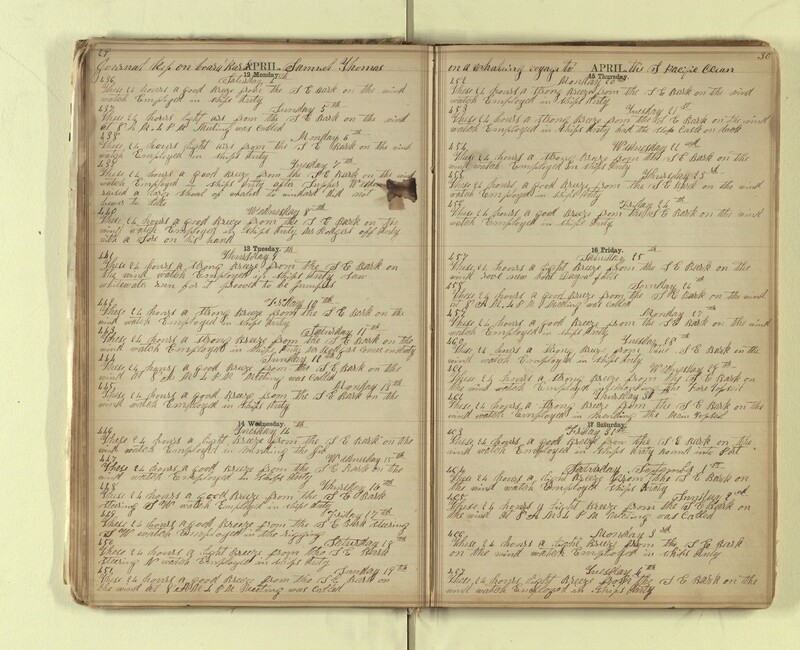 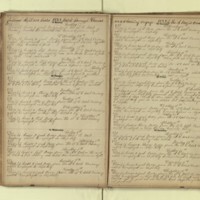 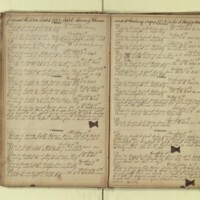 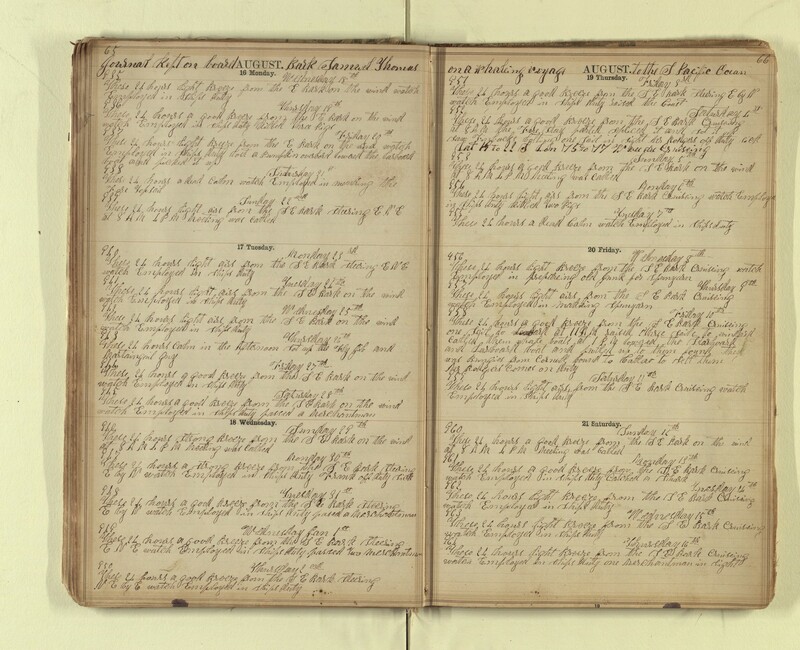 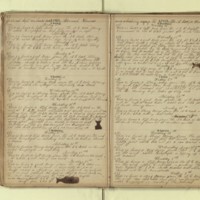 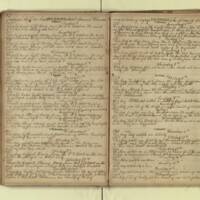 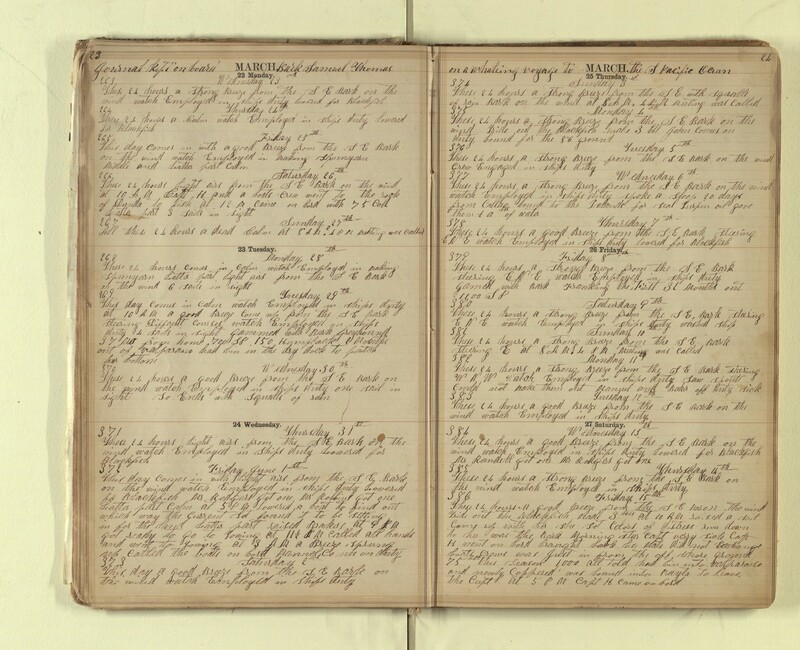 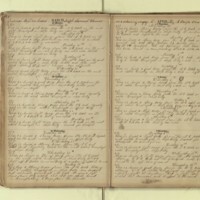 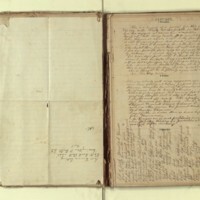 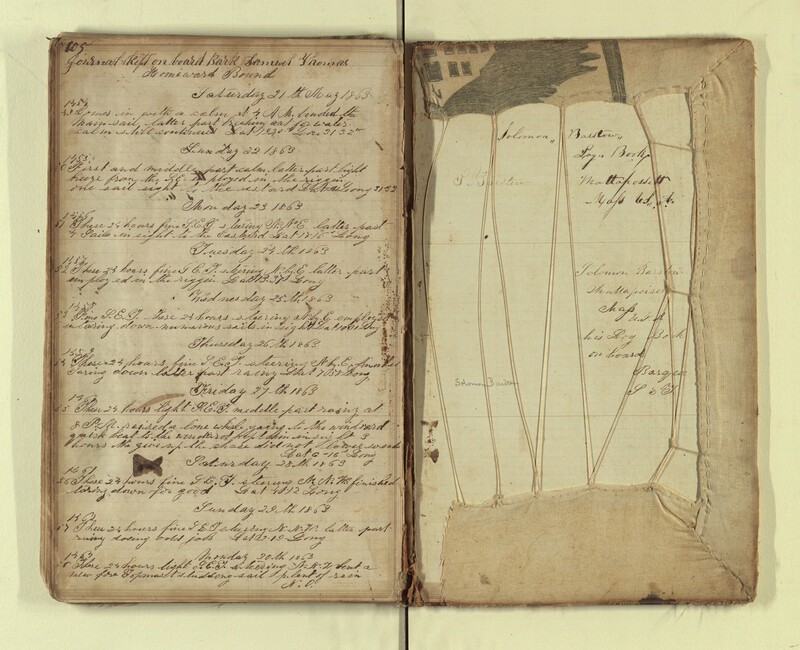 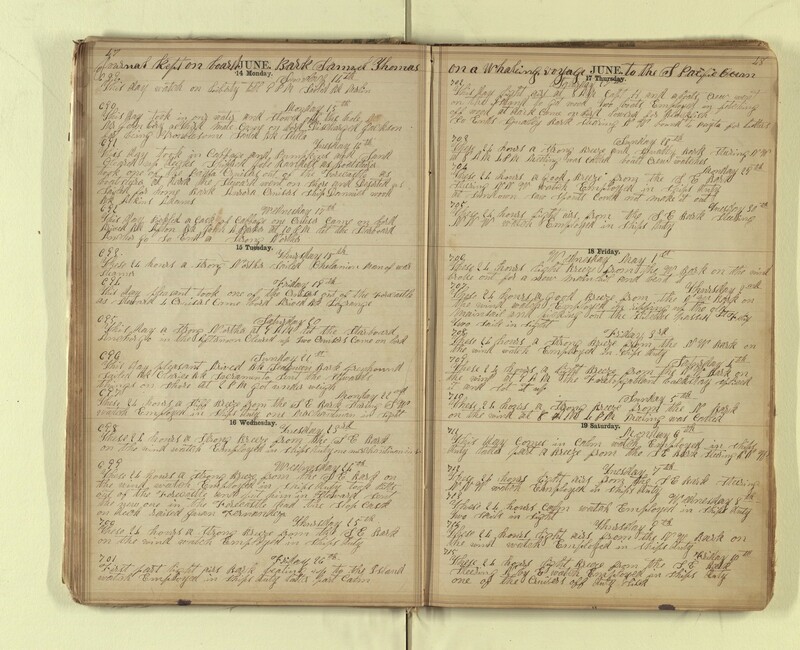 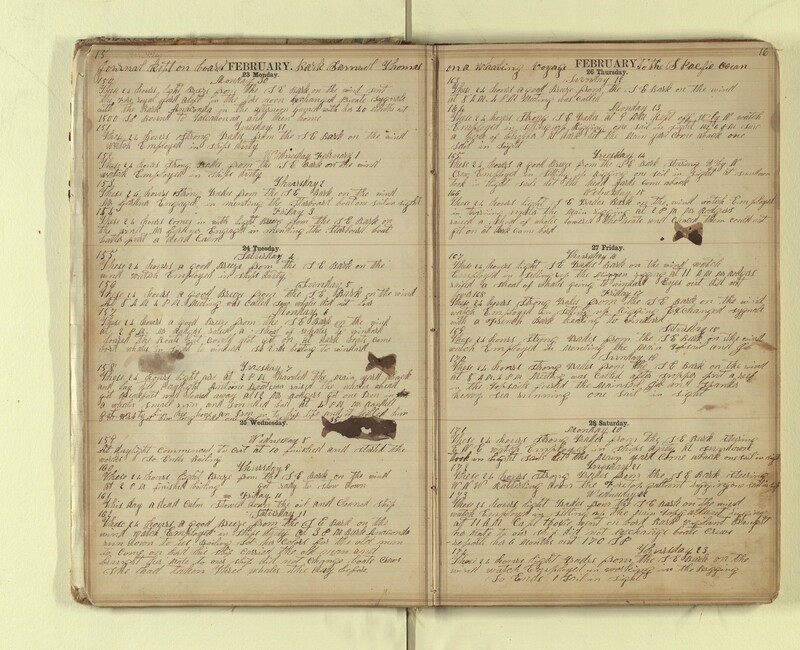 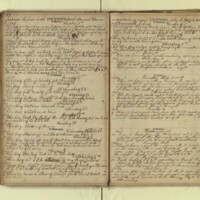 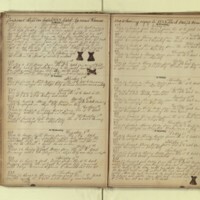 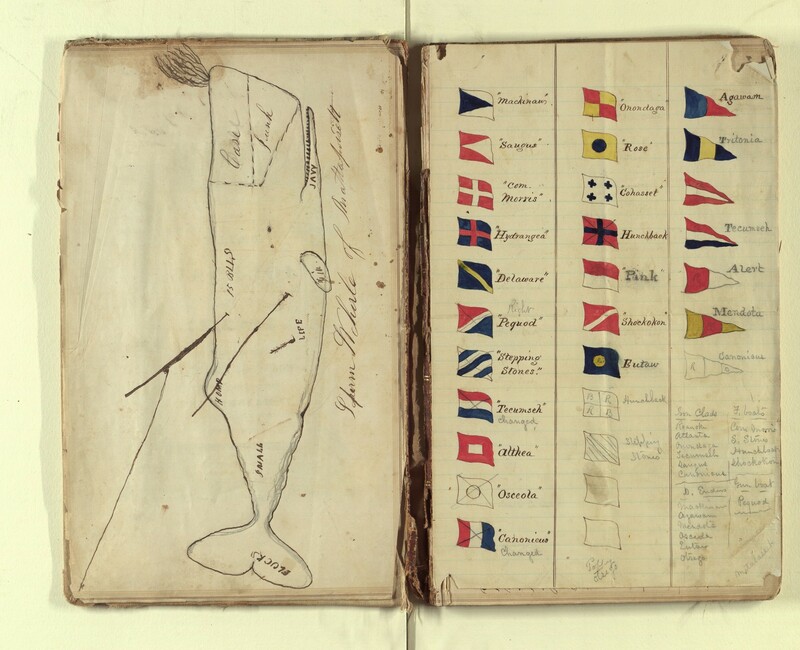 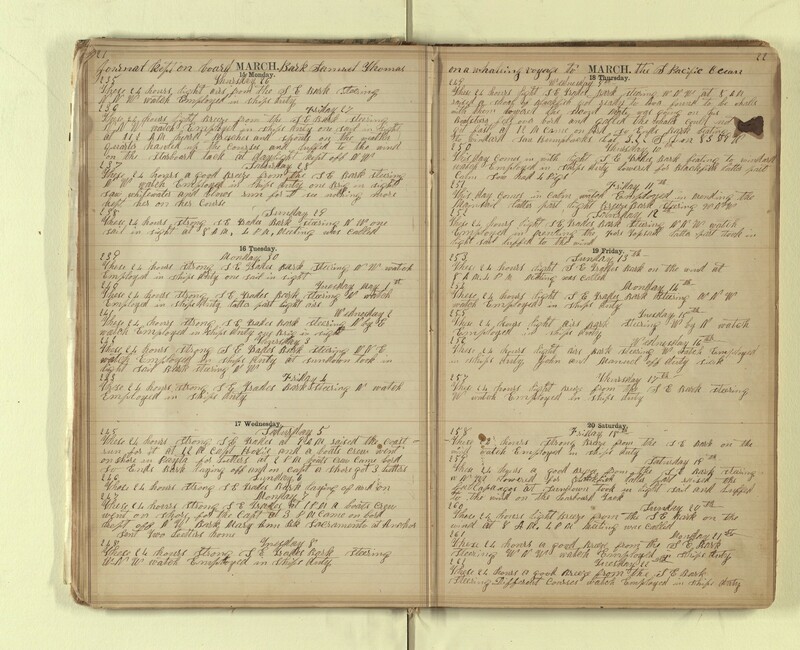 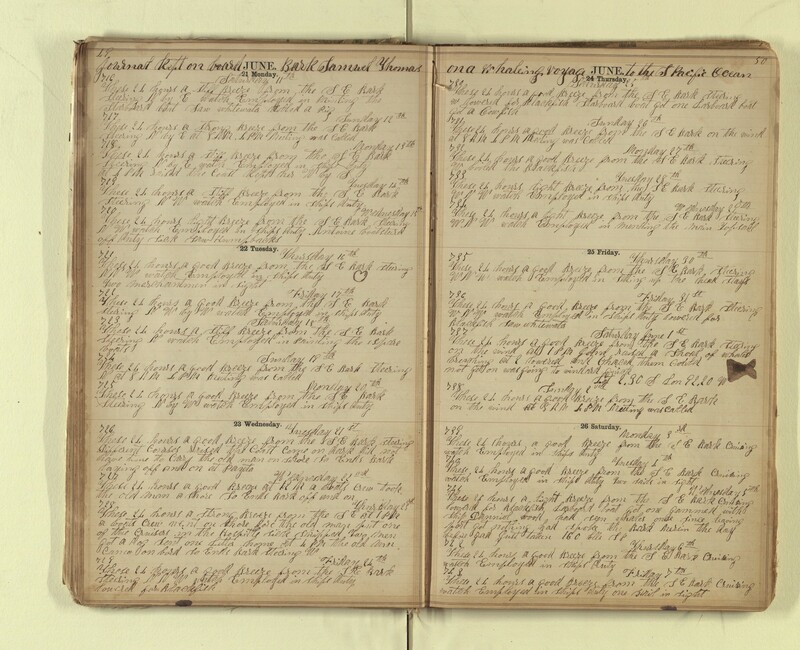 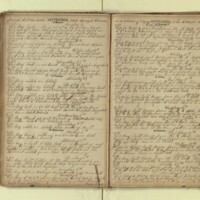 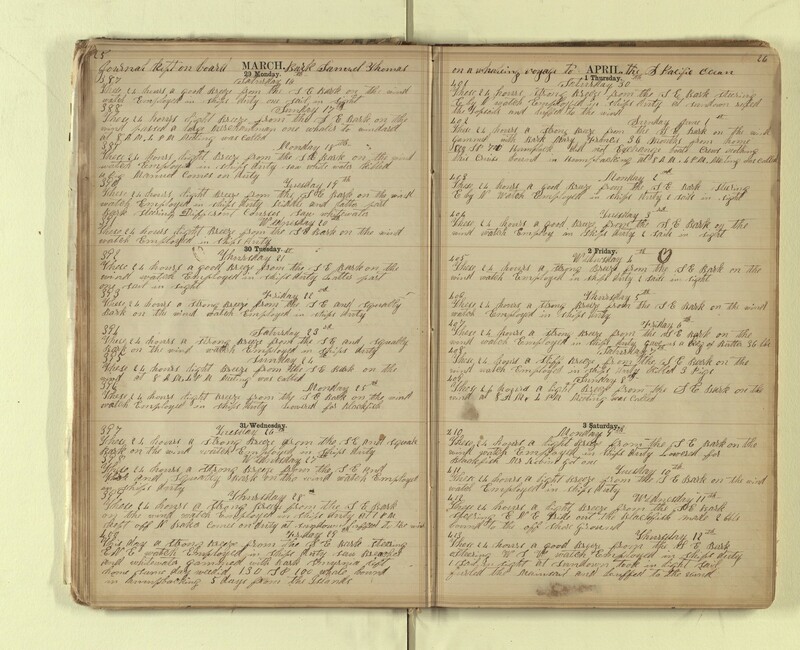 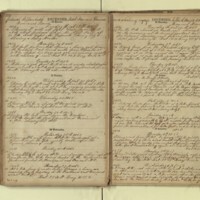 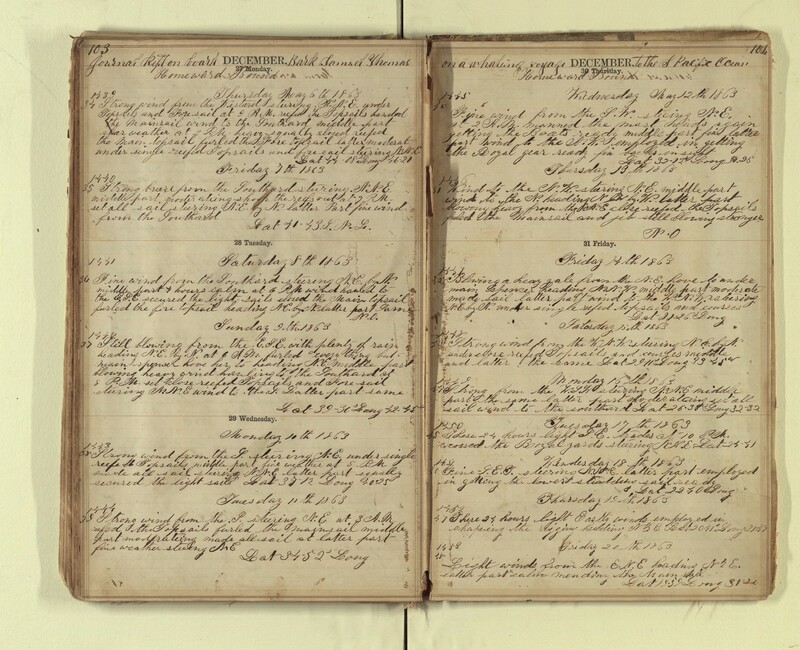 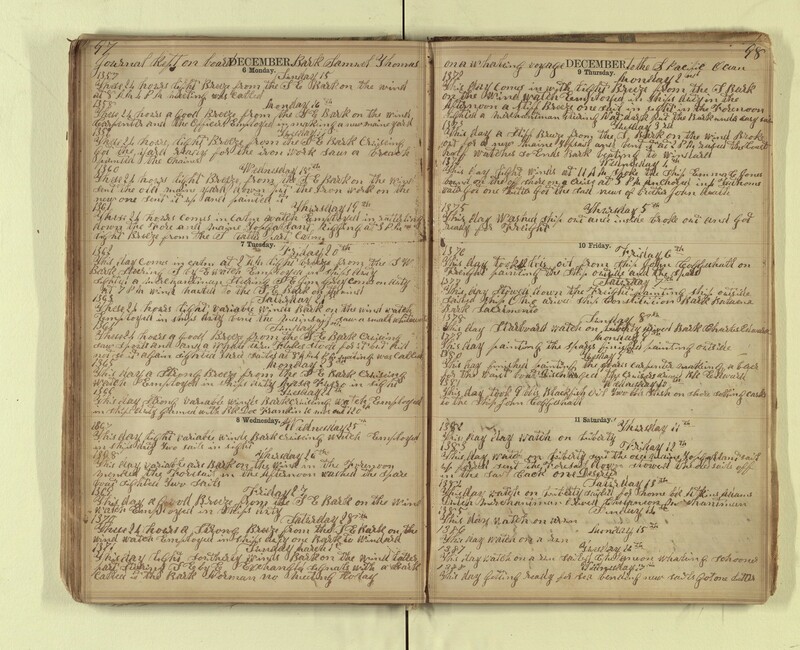 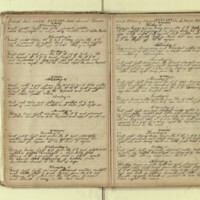 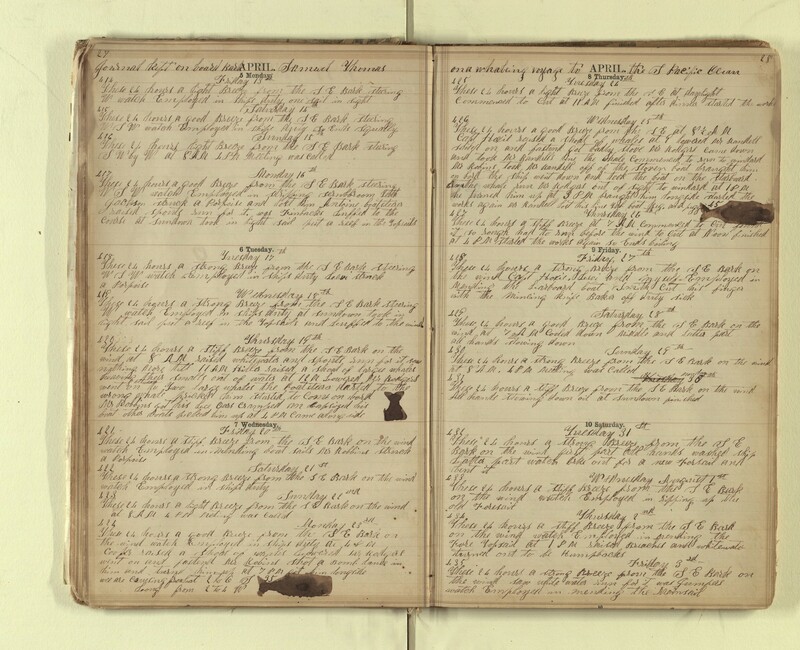 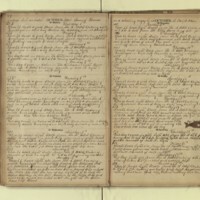 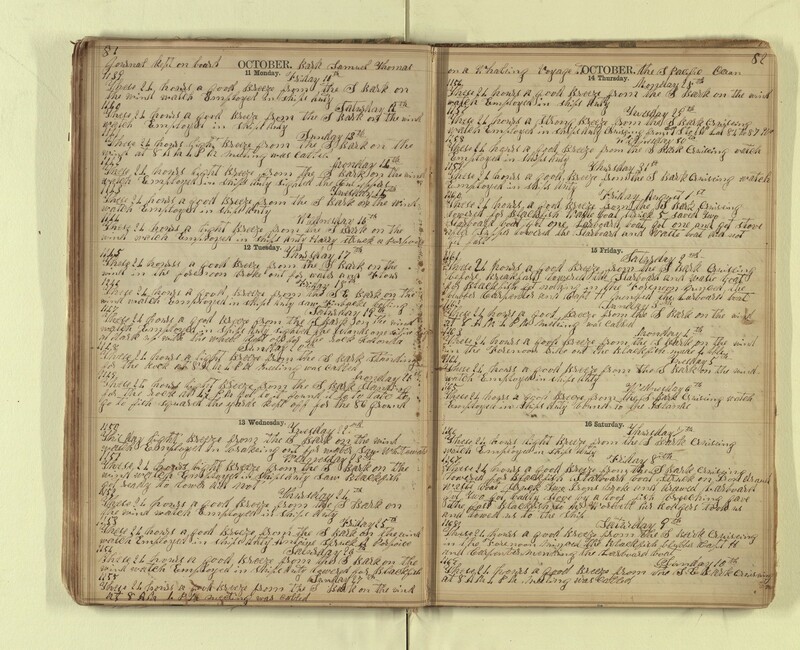 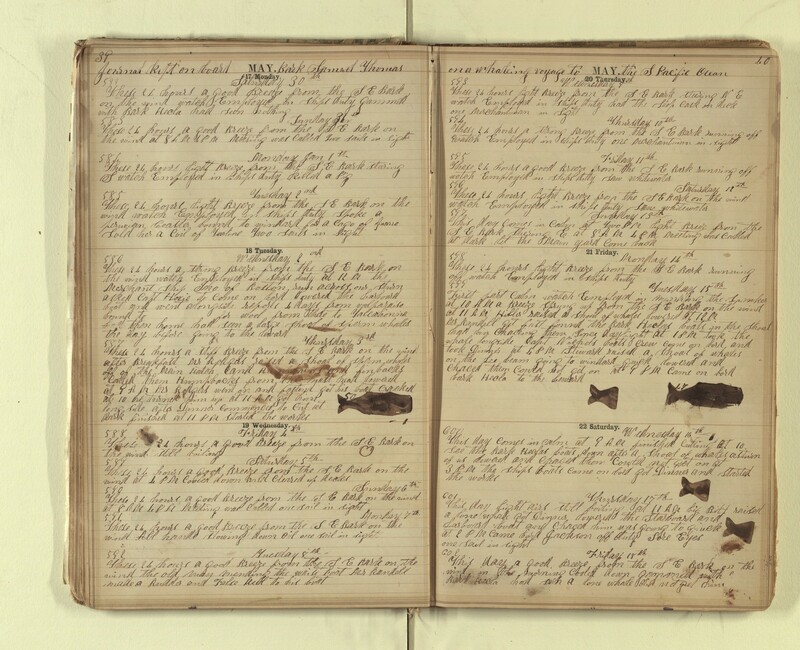 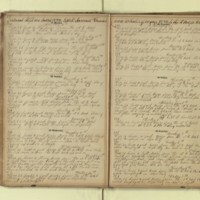 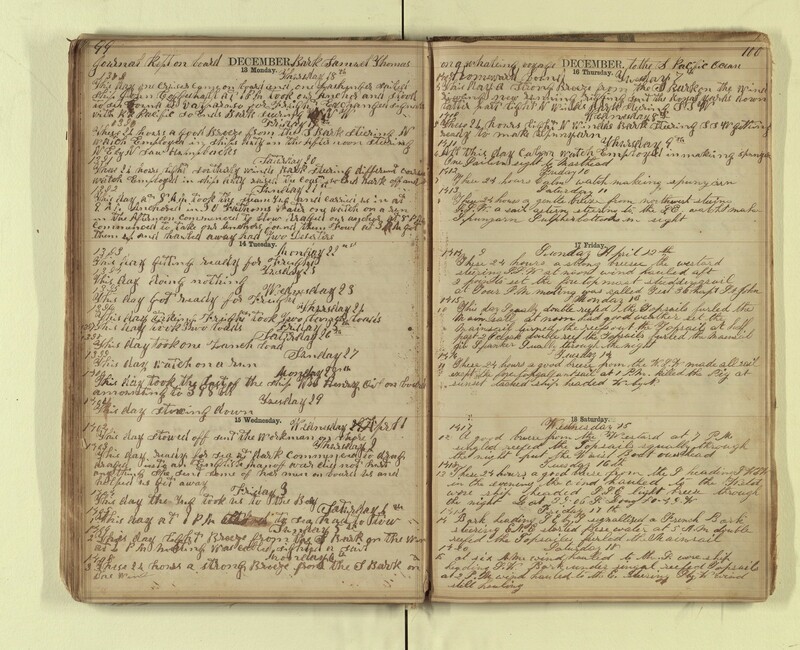 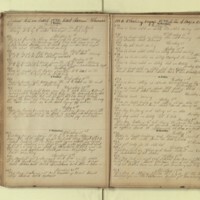 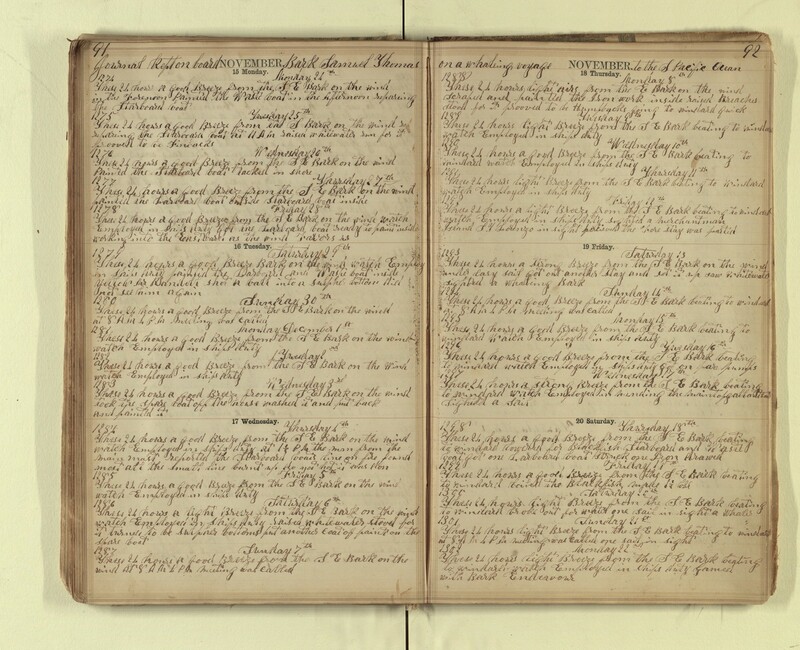 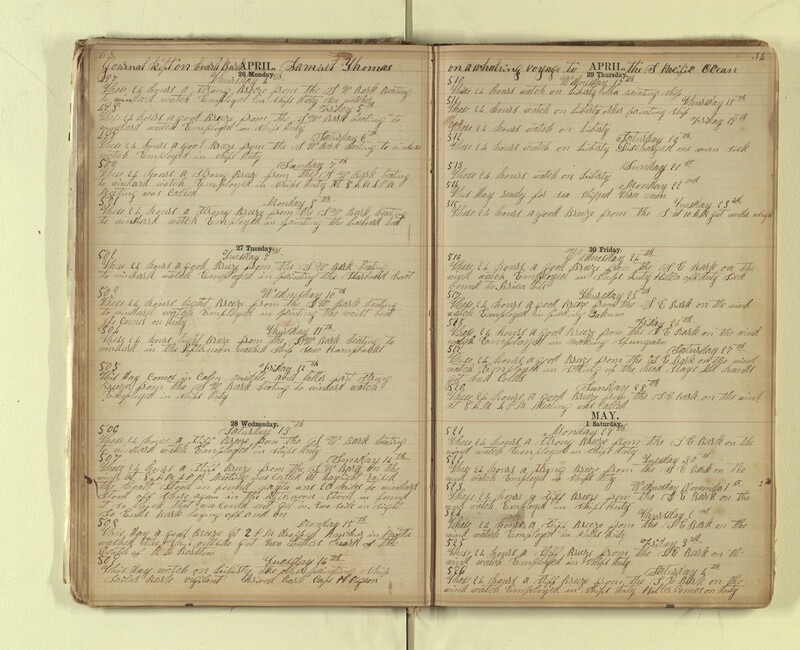 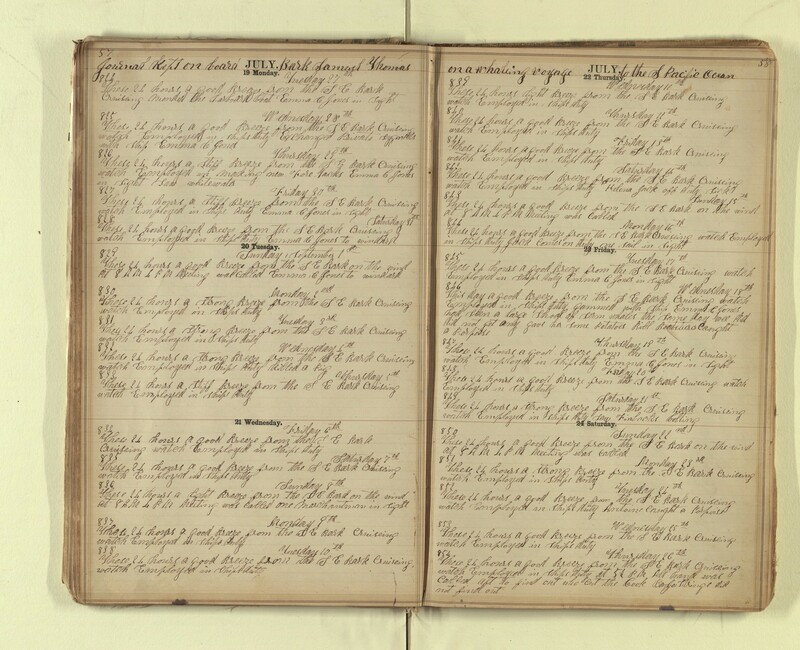 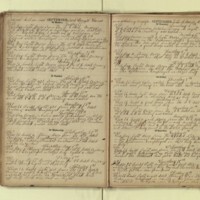 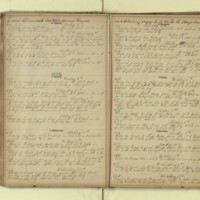 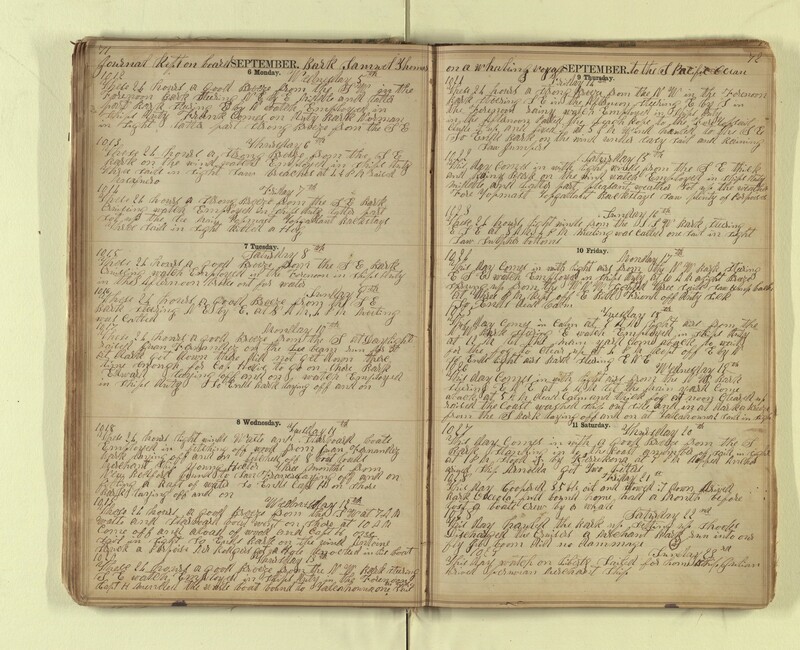 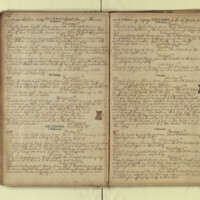 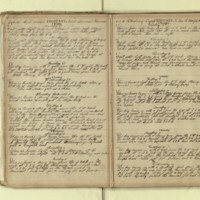 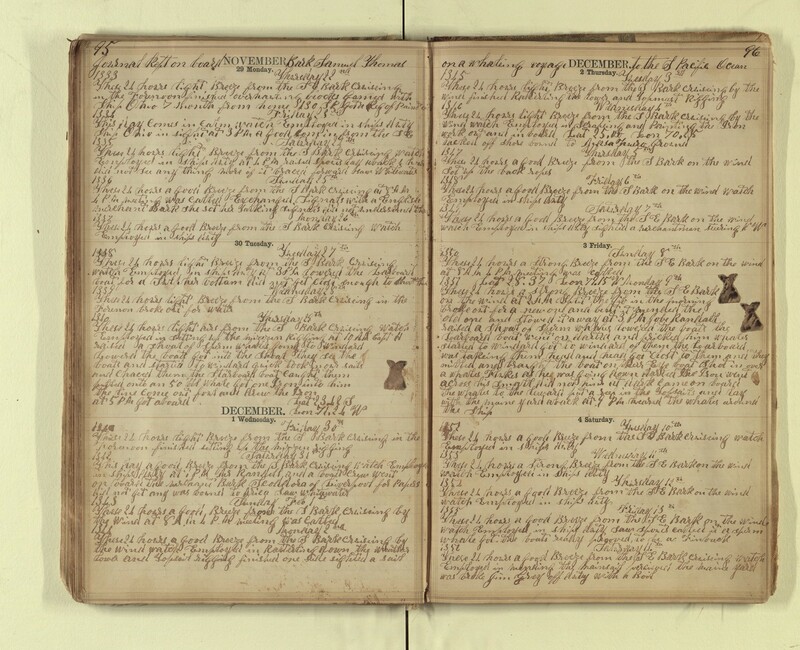 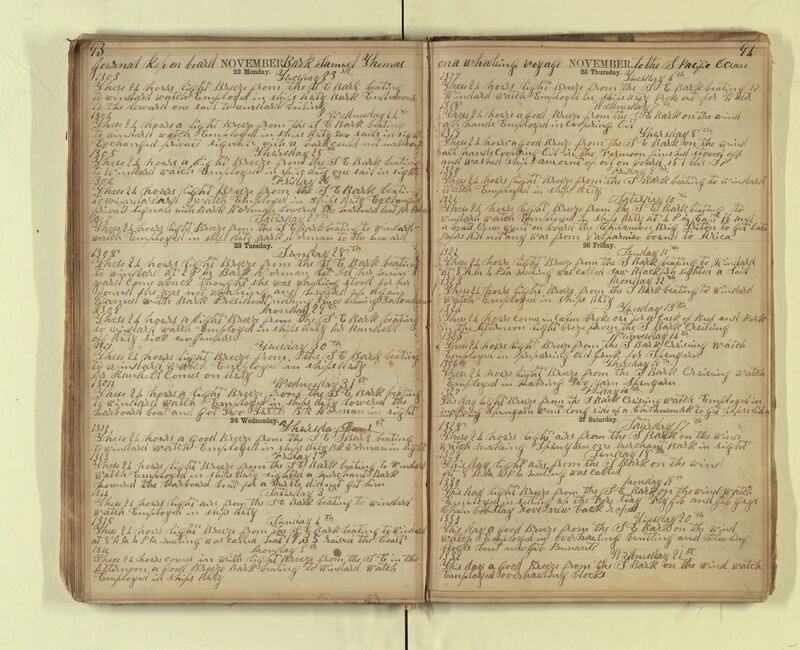 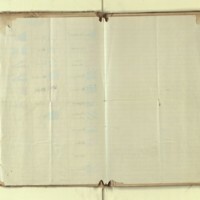 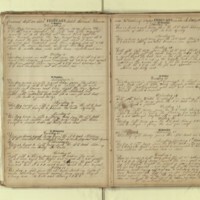 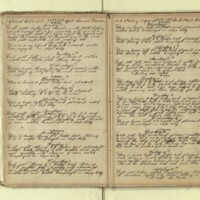 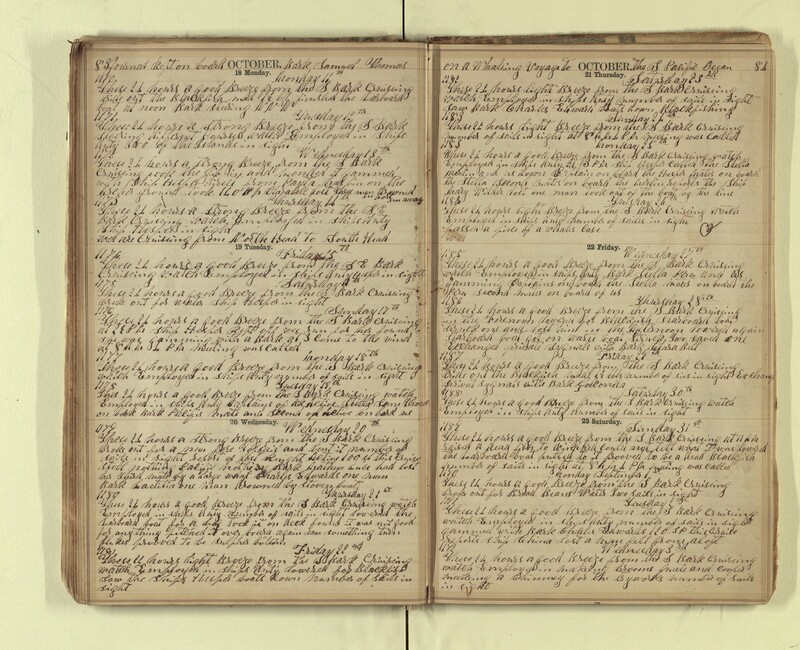 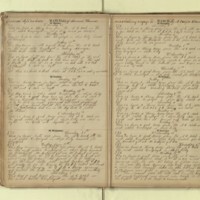 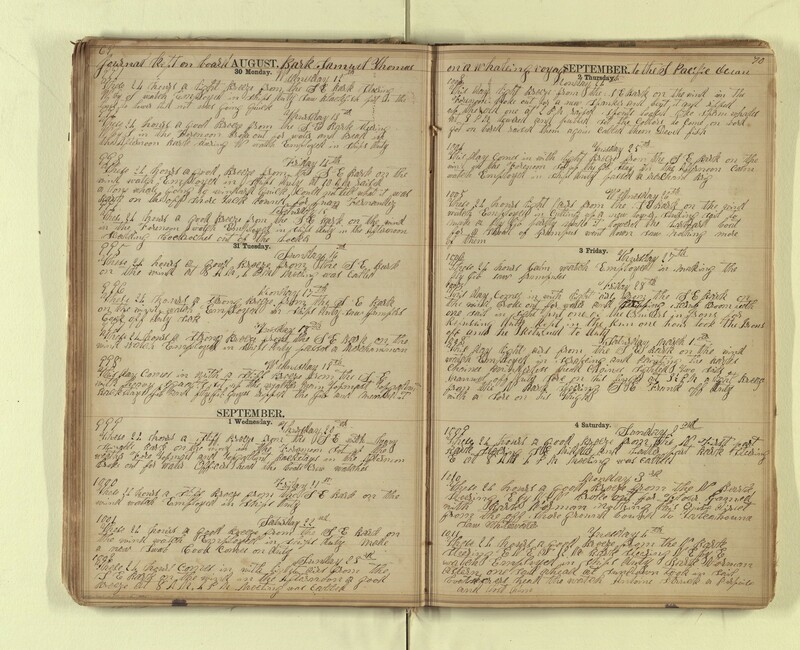 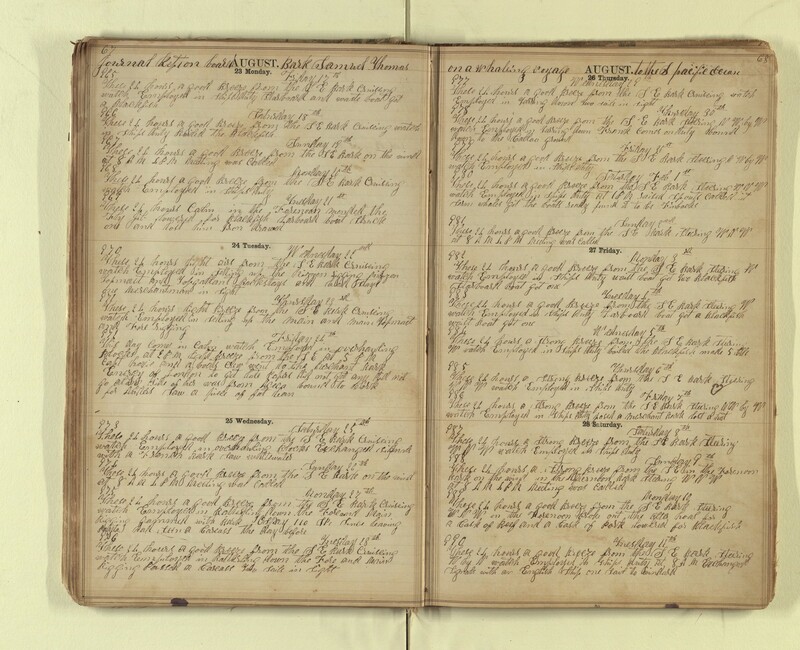 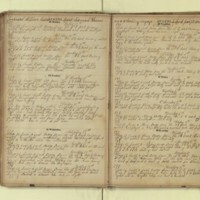 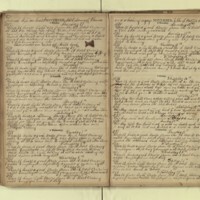 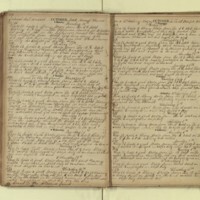 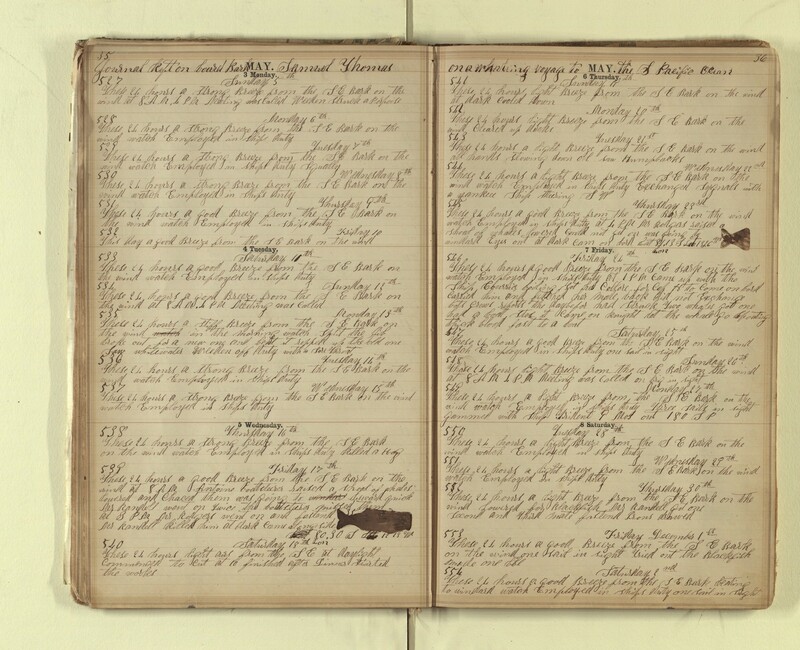 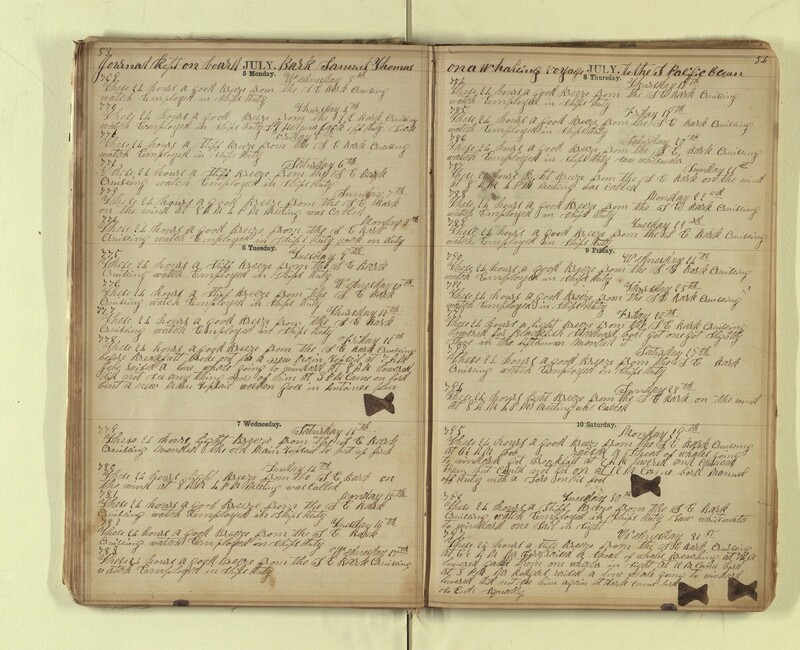 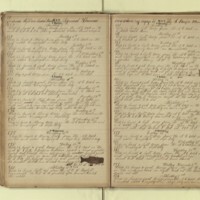 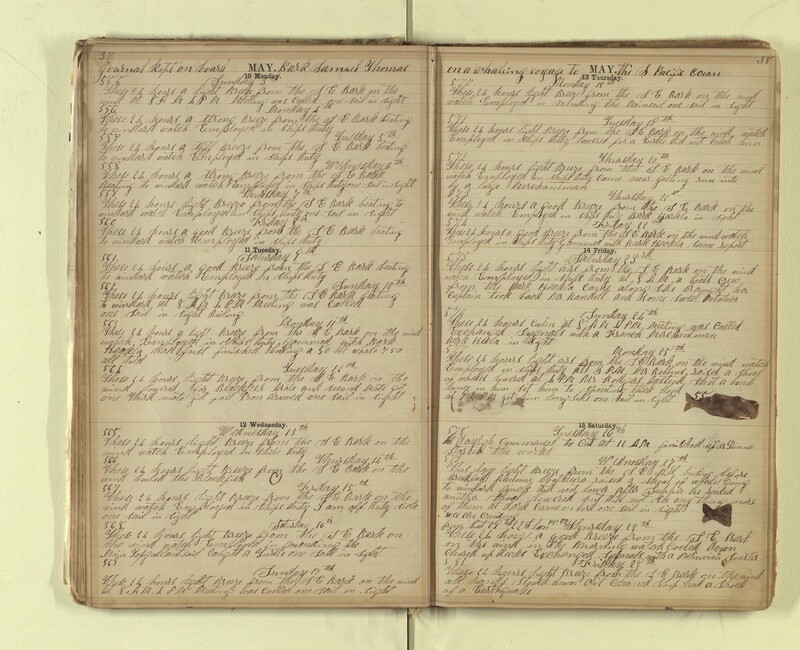 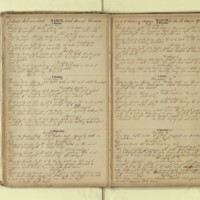 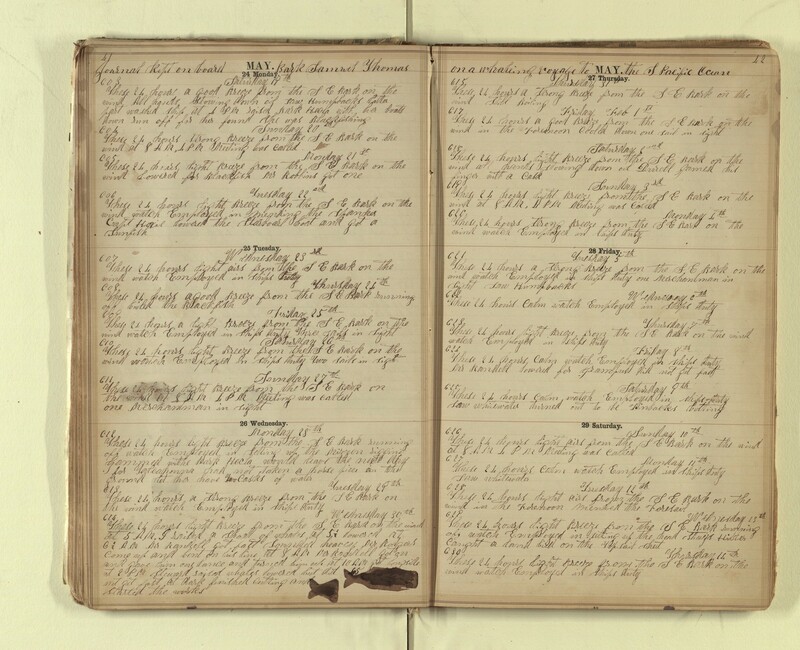 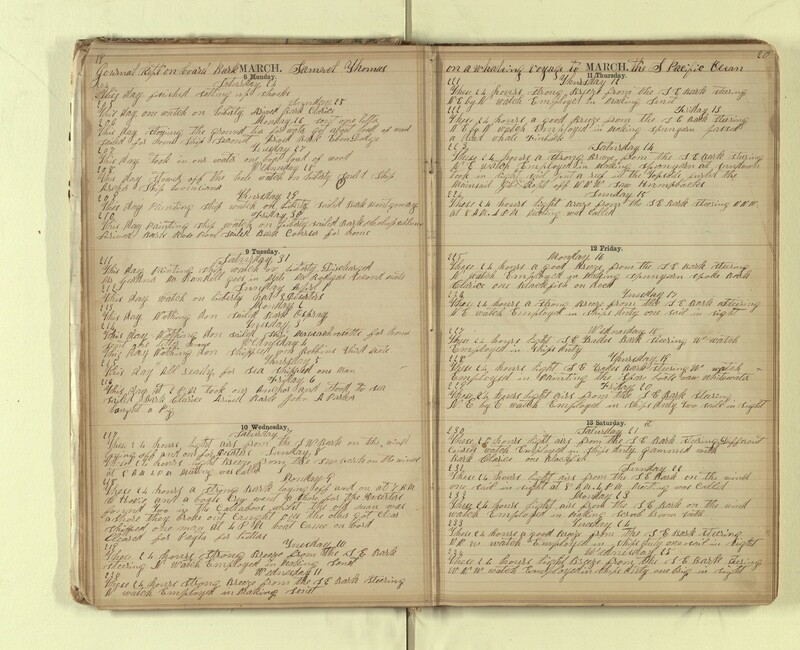 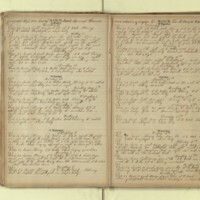 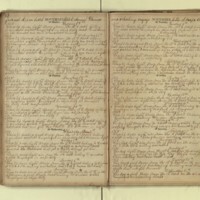 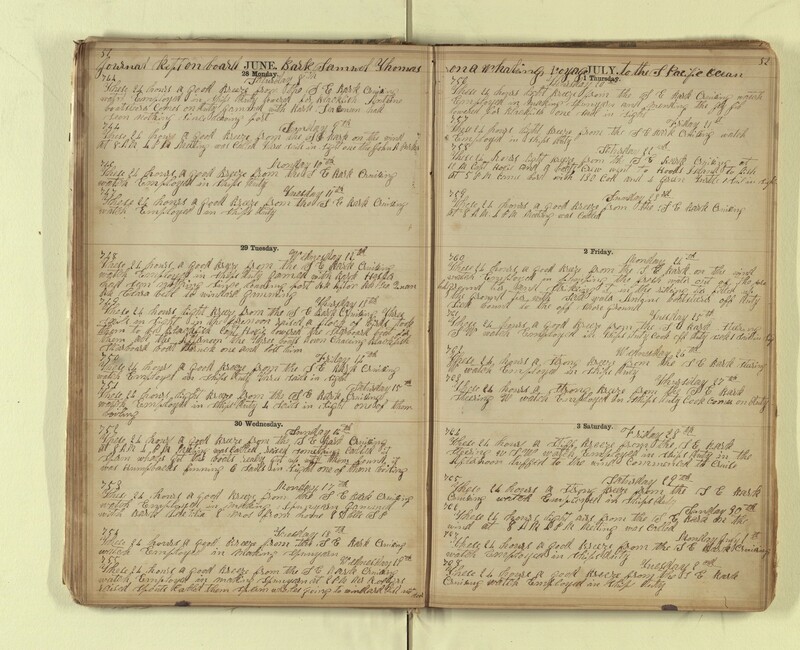 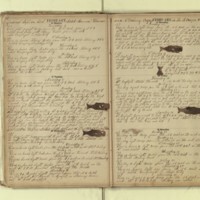 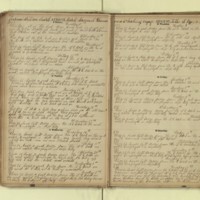 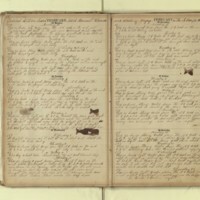 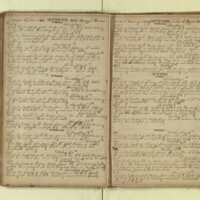 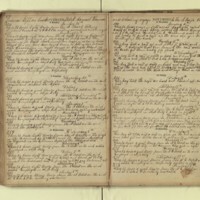 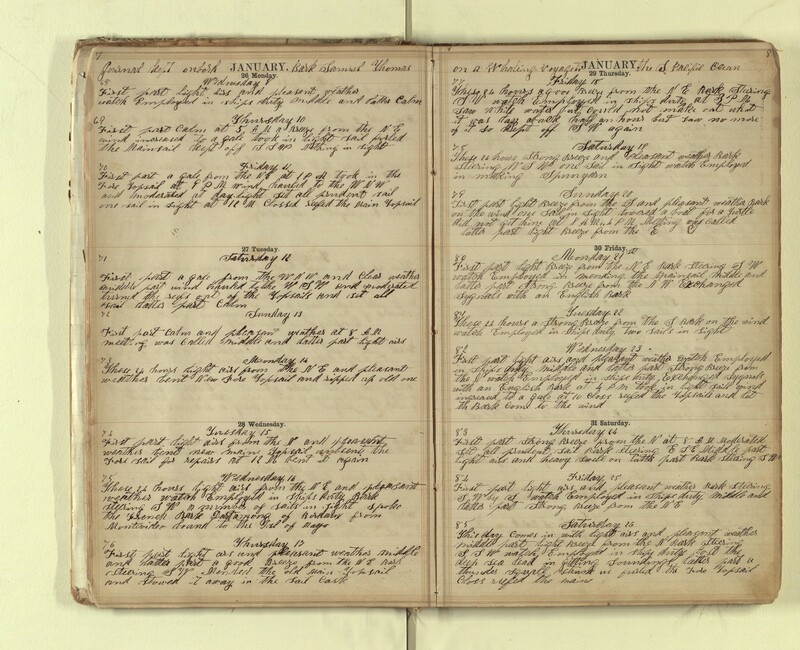 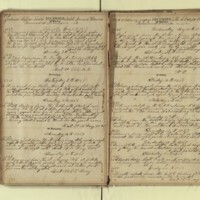 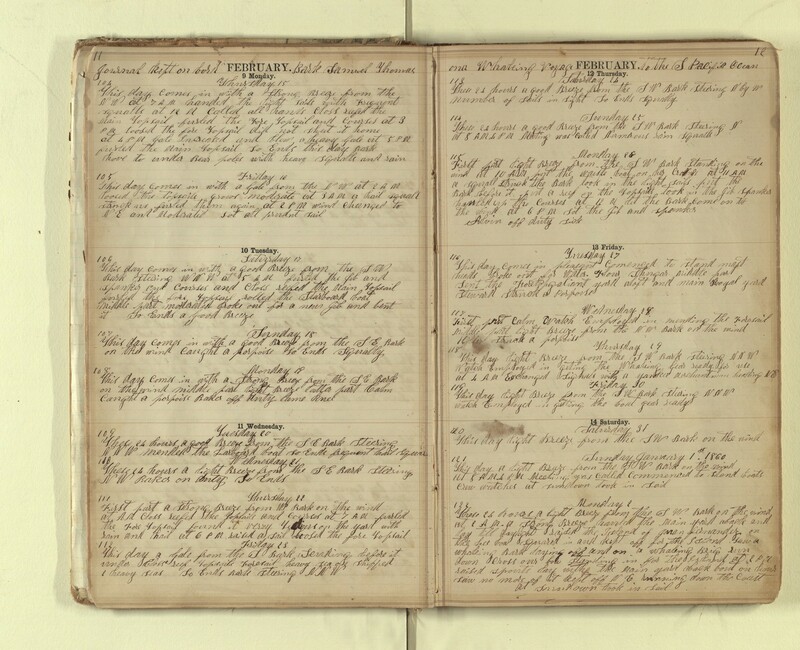 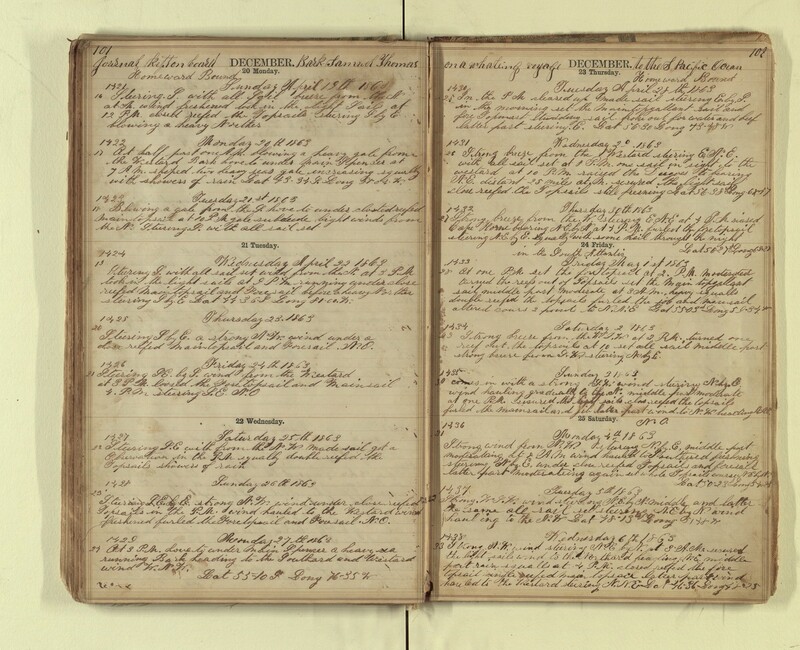 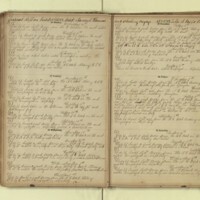 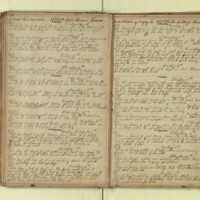 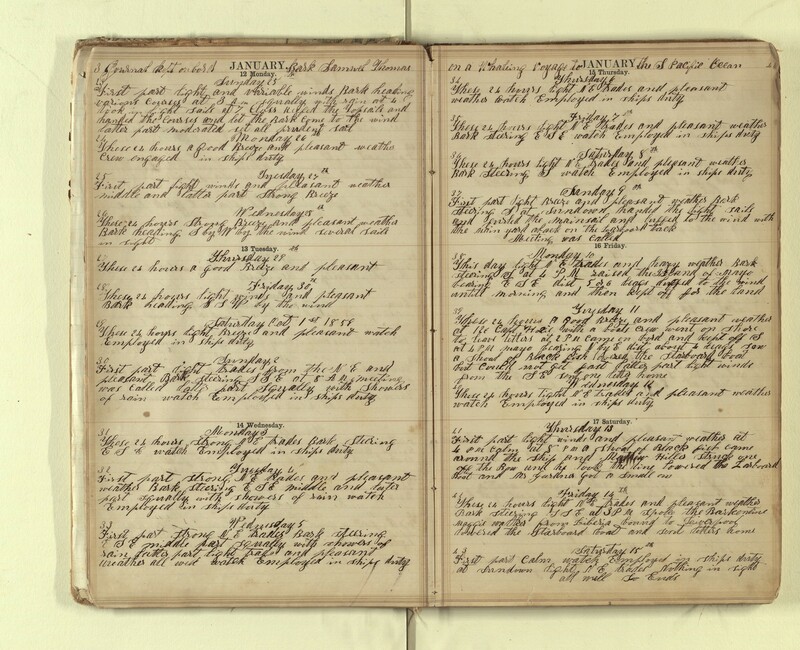 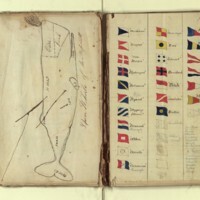 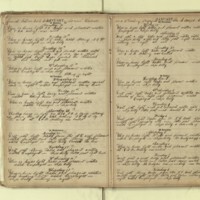 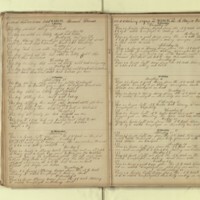 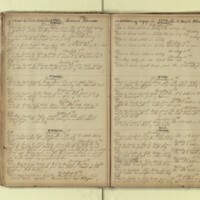 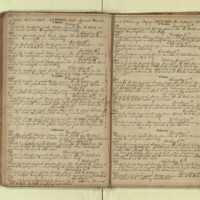 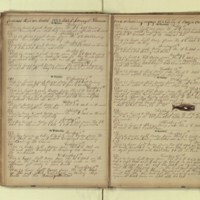 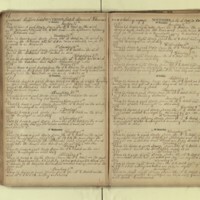 Barstown, Solomon, “Log of the Samuel & Thomas, 1859-1863,” accessed April 19, 2019, http://pplspc.org/digital/items/show/27.